The last of the Quadra line, the Quadra 630 was introduced in June 1994. The 630 was a hybrid of a Quadra and an LC in a sleek new case. 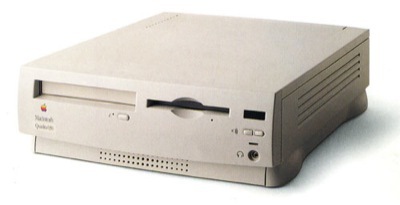 It had an internal IDE hard drive (the 630 was the first Mac to use the IDE bus), and an optional CD-ROM drive. It sold for $1,200, and was also released as the LC 630, and the Performa 630, 630CD, 631CD, 635CD, 636, 636CD, 637CD, 638CD, and 640CD, each of which was bundled with different software, accessories, monitors, and hard drives (some Performas had a 68LC040, and several were also available with several x86-based DOS cards). The Quadra 630 was discontinued in August 1995.